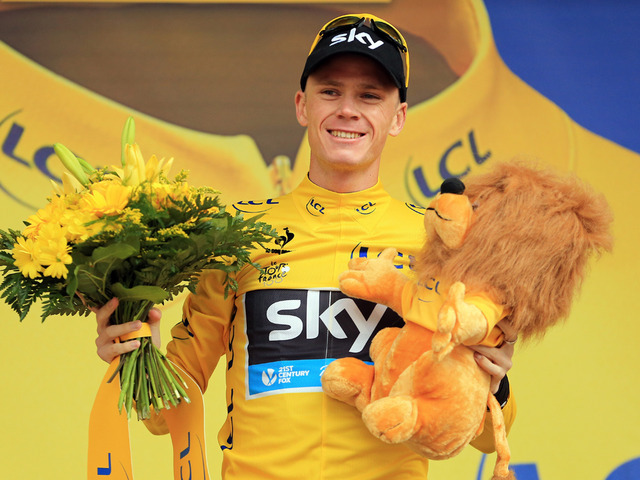 On The Sunday Times, Walsh published two articles titled “Why I believe in Chris Froome” and “Yellow Jersey is grand reward for team effort” today (you need to subscribe to The Sunday Times website read these articles, subscription is not free). In the first article, titled “Why I believe in Chris Froome“, Walsh is giving the numbers about how many times Froome and other Team Sky riders tested. He says only Froome has been tested 3-times yesterday )the penultimate stage day). He also giving hints about how well organized Team Sky is. We’re also learning that why Froome couldn’d get his gels/bars from the team car and bonked on the second climb of Alpe d’Huez (really an intresting story). And then coming why he believes in Froome: Walsh says he spent a week with Team Sky at a training camp in Mallorca six months ago, and it was the start of a project that would involve David Walsh living “inside” the team. Since that trip, Walsh has shared nine weeks total with the British team. He says he spoke to the team doctors, soigneurs etc. and he is telling about the life inside the team in the article. David Walsh began his career as a cub reporter on the Leitrim Observer, where he worked his way up to become editor at 25. He left the paper to join the Dublin-based daily the Irish Press. In 1984 he took a year out to cover cycling sport in Paris. Returning to his Dublin-based paper after that year he ultimately left in 1987 to work for the Sunday Tribune before moving onto the rival Sunday Independent four years later. Walsh joined The Sunday Times in Ireland in 1996 and began working on the story about doping in professional cycling shortly after moving to England in 1998. Nicknamed by Lance Armstrong the “Little Troll”, Walsh along with fellow Irishman and Sunday Times journalist Paul Kimmage, led the way in exposing the systematic doping rife within cycling, in particular the US Postal Team and its leader Lance Armstrong. Walsh revealed in the Sunday Times in 2001 after a two-year investigation that Armstrong was working with the controversial Italian doctor Michele Ferrari. Under the headline “Champ of Cheat?” The Sunday Times asked in 2001 why a clean rider would work with a dirty doctor. Walsh’s books on Armstrong include L.A. Confidentiel (2003 with Pierre Ballester), in which Armstrong’s soigneur Emma O’Reilly revealed that she has taken clandestine trips to pick up and drop off what she concluded were doping products, From Lance to Landis: Inside the American Doping Controversy at the Tour de France, and Seven Deadly Sins: My Pursuit of Lance Armstrong (2012). Reacting to the confessions Armstrong made in an interview with Oprah Winfrey, broadcast on January 17 and 18, 2013, Walsh said that “the interview was fine in as far as it went, but it did not go nearly far enough, and even in as far as it went I was particularly disappointed that he didn’t admit what might be called the hospital room admission from 1996.”. Walsh was also disappointed that Armstrong failed to “name names”. Before Winfrey did the interview, Walsh’s Sunday Times bought a full-page ad in the Chicago Tribune—Winfrey lives in Chicago—to suggest 10 questions she should ask. The Sunday Times lost a libel suit over Walsh’s coverage and Walsh wrote in a postscript to his 10 questions in The Tribune: “The Sunday Times is seeking to recover about $1.5m (million) it claims he got by fraud. He used Britain’s draconian libel laws against us.”. 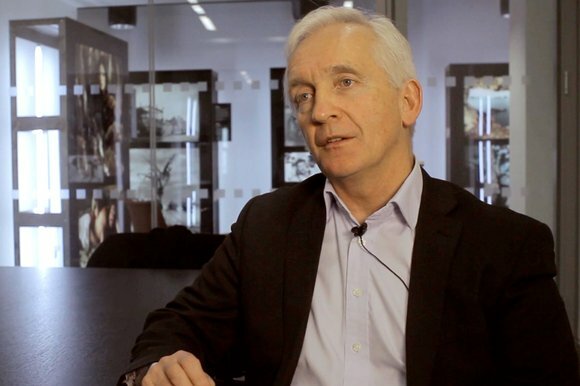 Referring to the battle against doping in cycling sport on a global scale Walsh said in January 2013 in an interview with Global Cycling Network (GCN) that “cycling needs new leadership” and that Greg LeMond “could serve as interim UCI president in an effort to pressure Pat McQuaid to leave his post”. On 29 January 2013 the World Anti-Doping Agency (WADA) said it is “dismayed” by the way cycling’s global governing body has handled the fallout from the Lance Armstrong affair and accused it of being “deceitful” and “arrogant”. John Fahey, the president of Wada concluded that “UCI has again chosen to ignore its responsibility” to cycling.